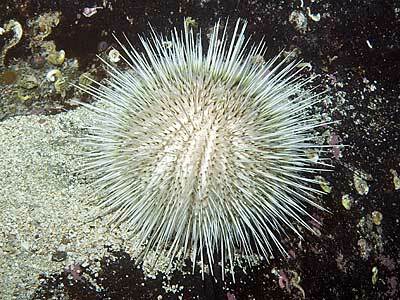 Description: A regular urchin with a mixture of very long and very short spines. Distribution: A northern species occurring in the North Sea and further north on eastern Atlantic coasts. Picton, B.E. & Morrow, C.C. (2016). 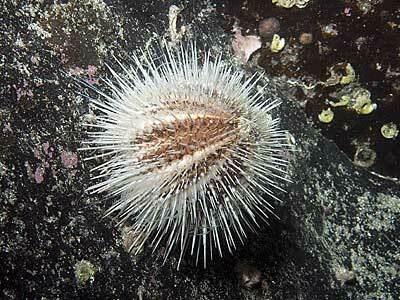 Echinus acutus Lamarck, 1816. [In] Encyclopedia of Marine Life of Britain and Ireland.